If you're proud of how your business looks, or want to show off the results of your service, there is no better way than by using immersive 360° photography. The technology was made famous by Google Street View™, and we can integrate your photos with Street View if you want - or they can be used on your web site, maybe as part of a virtual tour, or posted to Social Media. 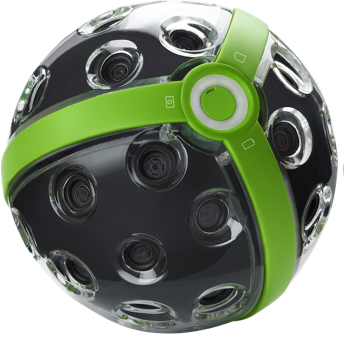 We can use a variety of 360° cameras depending on the specific requirements. From a simple dual lens camera for rapid, high volume jobs to one incorporating 36 individual sensors, each taking a photo at the same moment, which, when processed, produce a high quality 108 mega pixel image. These can also handle pictures with people or moving objects.